Recycling has grown into what today is a global commodities business. With four generations of recycling experience behind us, Integrity Recycling and Waste Solutions, Inc. has grown along with it. Integrity Recycling has established an impressive track record of designing innovative, award-winning solutions for customers in several industries. Our customer list includes retail/grocery chains, distribution centers, commercial printers, government, pharmaceutical and industrial manufacturing, as well as small and mid-sized businesses and colleges. What started as one man’s dream of operating a local recycling company has grown into a global operation. What hasn’t changed is our dedication to serve and give back to our customers. President of Integrity Recycling and Waste Solutions, Anthony Giordano, Sr. says his business philosophy is, “If you can’t service the customer, someone else will.” Our employees share in this philosophy and our dedication to serving the customer. "If you can’t service the customer, someone else will." Over the years, Integrity has remained successful due to our continued pursuit of excellence and our unwavering focus on our core values: integrity, honesty, and service. Our team of dedicated professionals thrive in a company culture of shared leadership and build upon our individual strengths. Despite changing technology and economies, we continue to return value to the customer year after year. We treat our employees like family so they will be empowered to serve the customer to the best of their abilities. 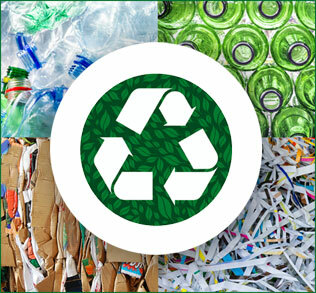 Unlike many other large waste management corporations, we believe in educating our clients about their recycling options and the value of their recyclables. Because we have generations of established relationships within the industry, our customers benefit from those connections and our marketing techniques. Our goal is to keep as much material out of the landfill as possible and return those savings back to our clients. It's a win for the environment and a win for our customers. That is exactly why we are committed to servicing you.